These days when i shop i try to work to the rule of three on any item i fall in love with - must create at least 3 outfits with other pieces in my wardrobe especially on more expensive items. 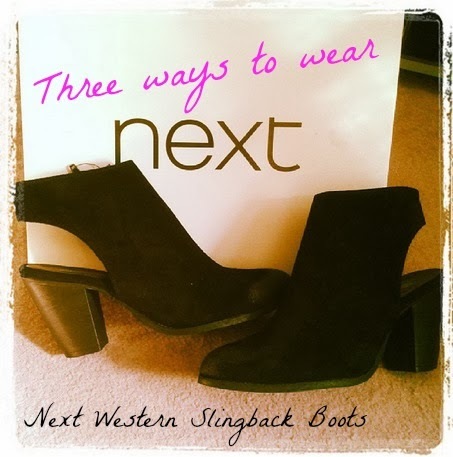 One of my latest finds were these amazing slingback ankle boots from Next £58. A very flattering shape and heel height with a more trend led detail, the cut out heel, these boots are a great all round piece. So below are three outfit that i will be wearing these boots with (although these would go with many many more outfits), all perfect for the upcoming transitional weather both at work and for the weekend. 2. 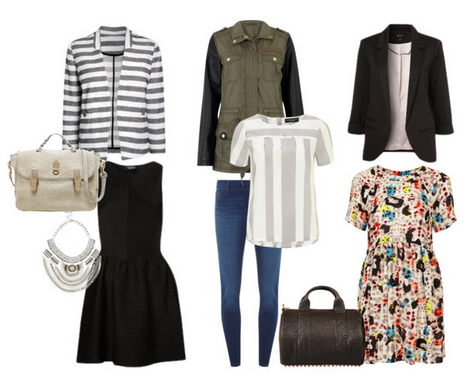 A causal / smart mix: Primark Jacket, Dorothy Perkins skinny jeans and stripe top. Do you shop to the rule of three or are you love it, buy it kinda girl?